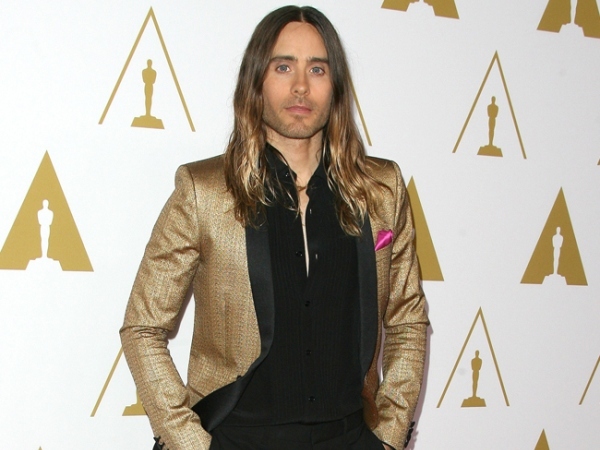 Dallas Buyers Club's Jared Leto picks up an Oscar for a movie he hasn't ever seen yet! Jared Leto may have won awards for his performance in Dallas Buyers Club but he still hasn't seen the film. Jared Leto hasn't seen Dallas Buyers Club. The 42-year-old actor - who picked up Best Supporting Actor at Sunday’s Oscars, for his role as transsexual AIDS victim Rayon in the movie - plans to watch his work eventually, but wants to "leave it alone" at present because the project was such an "intense" experience. Speaking on The Ellen DeGeneres Show on Monday, he said: "I have not seen the film yet. I think one day I will watch it, because, you know, I'll be curious at some point. But it was such an intense role. It's better for me to just leave it alone right now."